The City Council on Tuesday rejected 11 appeals of a city staff’s finding that permit applications to operate legal medical marijuana dispensaries in San Diego are exempt from provisions of the California Environmental Protection Act. The council’s unanimous action will allow the projects to move ahead in the application process for conditional use permits under rules that were adopted last year, but for various reasons, only a few of them are likely to be granted. City officials are sorting through 40 permit applications. No legal medical marijuana outlet has opened yet within city limits, while numerous shops operating illegally have been shut down. In processing the applications, officials with the city’s Development Services Department found that CEQA regulations don’t apply in the case of the dispensaries, since they’ll only be making minor modifications to existing buildings. In a technicality, the appeals were only on the CEQA finding, not the conditional use permits themselves. The affected applicants hope to operate shops at 7128 Miramar Road in Mira Mesa; 4645 De Soto St. in Pacific Beach; 3571 Pacific Highway in Middletown; in the Stockton neighborhood at 3433 Pickwick St. and 3385 Sunrise St.; and in the Midway District at 3486 Kurtz St., 3485 Noell St., 3225 Bean St., and 3421, 3430 and 3515 Hancock St.
Their permit applications will now go to a city hearing officer, who will decide whether to approve the projects. They face numerous roadblocks, however, including a rule that caps dispensaries to four per council district — and six applicants desire locations in the Midway area. 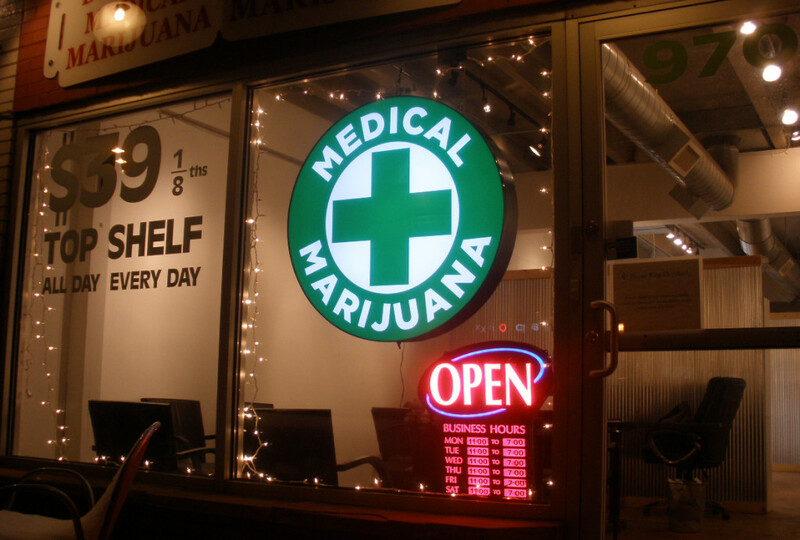 Additionally, dispensaries are not allowed to operate within 1,000 feet of each other. She said an applicant whose CEQA exemption was not appealed is further along in the process, and if that permit is approved, five of the ones addressed Tuesday will be out of luck because they would be within 1,000 feet. Lawyers for a couple of the applicants contended that most of the appeals were filed by competitors who wanted to move ahead in the line for permits, which Gloria called a “fair point” that should be addressed. However, the only one to file an appeal who actually spoke to the council was Pacific Beach community activist Scott Chipman, who opposes medical marijuana. The applicant furthest along in the lengthy permitting process is a San Diego State University professor who wants to open a shop in a strip mall near Brown Field airport in Otay Mesa. His actual permit is being appealed, and a hearing is scheduled before the city’s Planning Commission later this month.